Want to learn more about Orbera™? 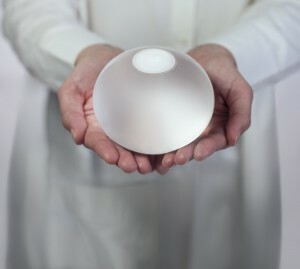 Meet Orbera® — the world’s #1 intragastric balloon weight loss program that’s proven to help patients experience 3.1x more weight loss than diet & exercise alone and provide the right tools and resources to successfully learn to keep it off. The entire non-surgical, outpatient procedure takes about 20 minutes. First, a diagnostic endoscopy is done to ensure that it is safe to perform the procedure. Once you are mildly sedated and comfortable, the procedure can begin. The deflated gastric balloon is inserted through the esophagus and into your stomach. A syringe is then used to fill the balloon, with a sterile saline solution, to about the size of a grapefruit. For the next six months the Orbera® balloon is inside your stomach, reducing the amount you can eat, and re-training your brain to better anticipate when your stomach is getting full. It’s during this time that open and constant communication with your support team is crucial to maximizing the benefits of Orbera®. This means regular face-to-face sessions with your treatment team, dietician, fitness trainer, psychologist and doctor. During these first six months, with the stomach balloon and support team working in tandem, patients see the most drastic results – Losing 20 to 50 pounds (sometimes even more). After you’ve had six months to change the way you eat and work with the support team to improve your nutrition, the balloon is removed. The simple and non-surgical procedure is very similar to the placement process, only taking 20 minutes. For the remaining six months of the program, you’ll continue working closely with your Specialist to follow a personalized diet and exercise program. At an additional cost, you can access Orbera® Coach, a tool that gives you convenient access to a virtual support team of nutritionists and dietitians via your phone or tablet. Is Orbera® Right for you?